Laws and rules pertaining to storage auctions in Texas. Section 39, Article III, Texas Constitution, provides that “No law passed by the Legislature, except the general appropriation act, shall take effect or go into force until ninety days after the adjournment of the session at which it was enacted, unless the Legislature shall, by a vote of two-thirds of all the members elected to each House, otherwise direct.” If an act does not specify an effective date, the act becomes effective on the 91st day after the date of final adjournment. If the act specifies an effective date earlier than the 91st day after adjournment, and the effective date rule is suspended, the act becomes effective on the specified date. If the act specifies that it has immediate effect, and the effective date rule is suspended, the act becomes effective on the date of the last action necessary for it to become law, which is: (1) the date the governor approves the act; (2) the date the governor files the act with the secretary of state (having neither approved nor vetoed it); (3) the date the appropriate period for gubernatorial action expires, if the governor fails to act within that period (Section 14, Article IV, Texas Constitution); or (4) in the event of a veto, the date the veto is overridden. The act can specify an effective date after the 91st day after adjournment without suspending the effective date rule, make the effective date contingent on an event or the expiration of a specified period after that event takes place, or make it contingent on the adoption of a proposed constitutional amendment. Parts of a bill can take effect on different dates, or particular sections or applications of an act may be delayed or accelerated. Operating a business without the required license or permit can get you into trouble with the local government, but determining whether you need a license can get tricky. Different states handle laws differently, and some counties or cities may have specific laws relating to licensing that differ from the state's. Making matters worse, different industries have different licensing laws. For example, food-related businesses nearly always require licenses, but non-service industries often do not. Before starting a resale business, it's a good idea to check with your state and local laws to make sure you're running things legally. In Texas, there is no “general” business license. There are about 250 licenses for different types of occupations, including auctioneer and salesperson. The salesperson license primarily refers to major sales, like cars and real estate, rather than home-based resale businesses, but it's something you should look into before opening a store. Most counties do not have any additional licensing requirements, but you should check with the state of Texas at Texas.Gov to make sure. In general, a small-scale resale business will probably not require a license, especially if you're operating out of your home. If you're just selling a few items over eBay or Craigslist, you can get by without obtaining a license. Once your business expands or gets its own premises, though, it's generally a good idea to obtain a license to make your business more official. This will allow you to open a bank account and do business under your company's name, and it makes it easier to handle your taxes at the end of the year. These extra expenses need to be taken into account when starting your business. It's also a good idea to consult with an attorney and a tax professional once your business starts to get serious; they can advise you about the best route to take to protect yourself and keep the most of your money. Find a space near the exit so you can leave easily. At the end of the auction, everyone will crowd the exit and it can be difficult to get out. Be sure to leave enough space around you to prevent your car from being blocked, and make sure that there's a clear path between your car and the gate. Try to park facing the right direction as turning around might not be easy. Arriving at the facility early will help you secure a good spot. Since most storage facilities only have a few parking spaces near the office, most people will end up parking near the storage units themselves. If you do park in front of a unit, be sure that the unit doesn't have a red lock or tag. This is used to designate a unit that will go up for auction, and you'll need to move your car if it's parked in front of one of these units. Save yourself the trouble and park in a more out-of-the-way spot instead. Whenever possible, consider parking further away and walking to the auction. When you win a unit and start cleaning, you can always retrieve your vehicle to start loading up merchandise. If you do park on the street or a neighboring parking lot, be sure to obey any traffic laws or parking lot rules. If you have a friend interested in auctions, you can car-pool and save on gas and parking space. Make sure you're not blocking anyone from entering or exiting the storage unit or their cars. Be careful about leaving too much room, though, as that might invite people to squeeze in next to you and make it impossible to get out later. Some auctions will be more crowded than others, and you may not be able to employ every strategy. Nevertheless, following these tips will help prevent some of the major hassles that come up while parking at a storage facility. As you get more experience with a particular facility, it will become easier to identify the best spots. What Is a Sales And Use Tax Permit? When businesses sell items professionally in most states, they're required to charge a certain amount of sales tax. This tax is then owed to the local government, and it's paid as an operating cost of doing business. Depending on the job, other taxes might be applied as well, but you should always assume that any business that sells merchandise will need to collect sales tax to fulfill its liability to the government. Because Texas has sales tax, business owners must be prepared to collect and pay these taxes for any business operations completed in the state. 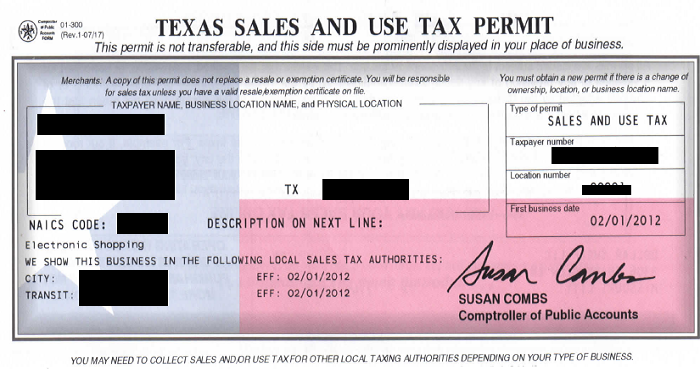 People who sell goods in Texas as part of their business are required to obtain a sales tax permit. This includes people who sell items from an office, warehouse, storage facility, flea market, trade show or other location. Essentially, any time buying and selling items becomes a full or part-time job, you'll need to get a sales tax permit. If you're just selling a handful of items on eBay a few times a year, you probably won't need to worry about sales tax; if you're making frequent sales, though, you should look into obtaining a sales tax permit. Obtaining the permit itself is quite easy. You simply need to go online and submit the form at http://www.window.state.tx.us/taxpermit/. If you would prefer, you can also call 1-800-252-5555 for an application. There are no fees associated with the permit itself, but you might need to post a security bond of up to four times the amount of the expected monthly owed tax. The purpose of this bond is to cover delinquent fees if you fail to pay your due share of sales taxes. Not everyone who applies will need to post this bond, so it's something you'll need to discuss with the state and plan around accordingly. Once you've obtained your permit, you're required to post that permit at your place of business. You must then collect sales tax and keep records of all of your purchases so that you can report and pay your taxes on time. You can be audited at any time, so keeping good records is a vital part of maintaining your business. It's usually a good idea to keep at least four years of tax records available at all times so you can avoid hassles when you get audited. Between business licenses, sales tax, business or self-employment taxes and other operating costs, running your own business can be expensive. This is why it's a good idea to test the waters with any buying and selling venture before you jump in with both feet. Easing yourself into a new retail business will help keep you from getting overwhelmed. Are Online Storage Auctions Legal? Update - March 28th, 2013 A new site, OnlineStorageAuctions.com has emerged as the clear choice in the online storage auction niche. The main differences between this site and it's competitors is that it's 100% free to use and it offers a legal alternative to storage facilities who are located in states where the legality of online storage auctions is questionable. This site recently merged with StorageAuctionForums.com, which was, until the merger, the largest storage auction website in the world. OnlineStorageAuctions.com now has more content and traffic than any any other storage auction website on the web. July 8th, 2012 - Over the past few years, a handful of companies which hold storage auctions online have emerged on the scene. One of these companies is Storage Battles, which recently bought out Sealed Online Bids. We here at Texas Storage Auction Schedules & News are huge fans of online storage auctions because we believe that this concept is the future of storage auctions; however, there seems to be a question as to whether they are operating legally in Texas and some other states. 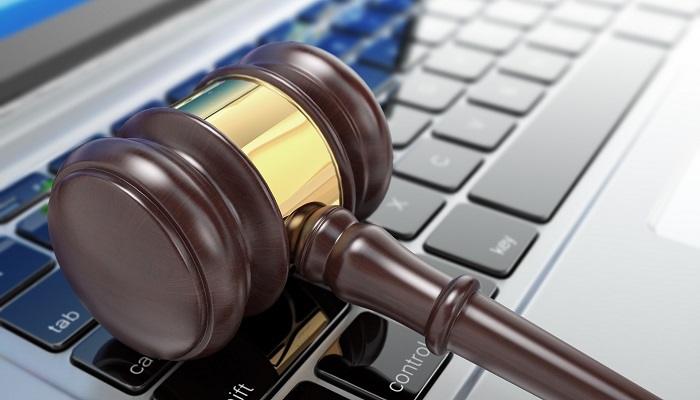 This legal dilemma boils down to whether or not a storage auction can be conducted online or whether it must be held at a physical location. Some state's self storage lien laws are vague and don't specify where the sales are to be held; therefore, one could reasonably assume that an online storage auction would be permissible. 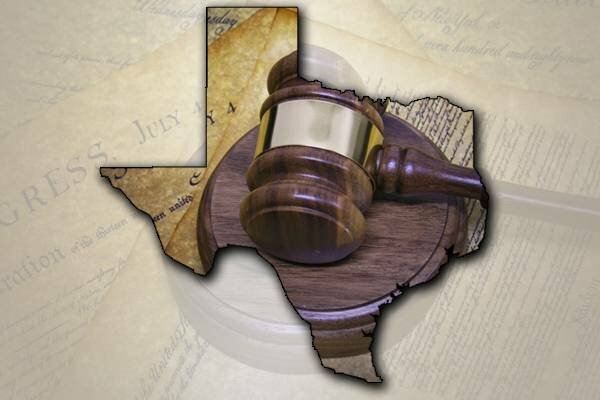 Texas's self storage lien laws, along with a handful of other state's, are not so vague. Chapter 59 of the Texas Property Code, section 59.045 clearly states: A sale under this sub-chapter must be a public sale at the self-service storage facility or a reasonably near public place. So how are companies like Storage Battles operating in Texas? Through a narrow loophole that depends on one's interpretation of what a public sale and what a public place is. According to USLegal.com, the legal definition of a public place is: an indoor or outdoor area, whether privately or publicly owned, to which the public have access by right or by invitation, expressed or implied, whether by payment of money or not, but not a place when used exclusively by one or more individuals for a private gathering or other personal purpose. We contacted the Texas Self Storage Association about this matter and received the following response: Connie Niemann Heyer, attorney for the Texas Self Storage Association, stated that she does not consider auctions that take place online only are meeting the strict letter of the law requiring that the sale take place at or near the storage facility. Her opinion was published in the TSSA's magazine. We contacted Sealed Online Bids to find out how they are conducting online storage auctions for storage facilities in Texas. Kevin Gorzny, principal at Sealed Online Bids provided the following response. “First off I want to address the fact that we have approached the Texas SSA with our stance on the Texas Lien Laws in the form of an official statement, and it was met without any opposition what-so-ever. 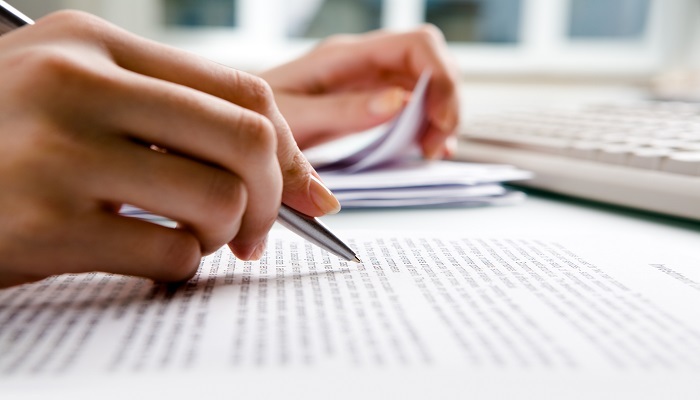 Our attorney covered quite a few points in regards to the Texas lien laws, but I'll address the specific one you cited. (Referring to: a public sale at the self-service storage facility or a reasonably near public place.) The definition of a consummated sale is the exchange of monetary funds, between the buyer and the seller. Simple as that. Our auctions are conducted online, yes, but the actual process of purchasing the unit-in-lien is a cash-in-person exchange performed at the storage facility where the contents are stored. Although eloquent, I believe this response is completely off topic. The debate here is not about what a “consummated sale” is, rather, it's about what the legal definition of a “public sale” is. According to Merriam-Webster's Dictionary of Law, a public sale is: a sale (as an auction) that is publicly advertised and that takes place at a location open to the public. Is the internet a location or a public place? It is arguable. I agree, a lot of state's storage lien laws are outdated; however, Texas revised it's storage lien laws in January, 2012. Are there still sections that don't take modern technology into consideration, absolutely. Texas's storage lien laws still require legal notices to be placed in a newspaper instead of being communicated electronically on a website. Do you really think they would allow the actual lien sale to occur on a website? Regardless of how archaic some of these laws may be, if you use common sense to interpret (A sale under this sub-chapter must be a public sale at the self-service storage facility or a reasonably near public place) it'sobvious that this law was meant to be quite literal. I think that Sealed Online Bids' interpretation of the Texas storage lien law is a bit of a stretch, but either way, this is a legal question that will inevitably be resolved when a disgruntled tenant challenges the legality of an online sale. So, are online storage auctions legal? The answer is - it depends. Each state has it's own unique storage lien laws. To my knowledge, no state's storage lien laws specifically state that storage auctions can be held online and vise versa, no state's storage lien laws specifically state that they can't. The only way to know for sure is to look at your state's storage lien laws to see if they specify a location for where the sale is to be held. How does this affect the storage auction buyer? It really doesn't. Most states have laws protecting the purchaser similar to Texas, Sec. 59.007 which states: A good faith purchaser of property sold to satisfy a lien under this chapter takes the property free of a claim by a person against whom the lien was valid, regardless of whether the lessor has complied with this chapter. How does this affect storage facilities? Whenever there is a gray area, there will be lawsuits; however, companies who hold storage auctions online are protected through lengthy disclaimers that the storage facility and buyer must agree to before using their service. This leaves storage facilities to bear the brunt of the legal challenges that may arise by former tenants that believe that the law was not complied with. In Texas, Sec. 59.005 states that: A person injured by a violation of this chapter may sue for damages under the Deceptive Trade Practices–Consumer Protection Act (Sub-chapter E, Chapter 17, Business & Commerce Code). Storage facilities should also consider whether they need to comply storage the lien laws in the state(s) where the online storage auction company's server/business is located. Our advise to storage facilities – consult with your attorney to make sure that this type of sale complies with federal, interstate and your state's storage lien laws. So, what do you think? Are Texas's storage lien laws specific enough or do you feel that companies that conduct storage auctions online have a good argument? Should storage lien sales be permitted on the internet? Please leave you interesting and creative responses below. In the following article, we will elaborate on the rules that are common at most storage unit auctions throughout the United States. Storage auction rules and laws vary by state, storage facility and auctioneer, so please consult with a professional in your area before relying on the following information. 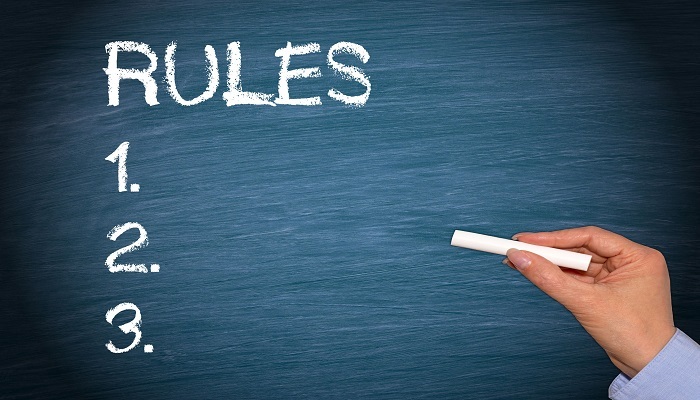 The official rules will usually be given out prior to each auction. It is the buyer's obligation to familiarize themselves with federal, state and local laws relating to the purchase, transportation and possession of their merchandise. Bidder registration. Please arrive at the storage facility 10-15 minutes early to allow yourself enough time to register and get familiar with the rules. Once you arrive, go into the rental office and sign in. Each person who wants bid must register and obtain a bidder number from the storage facility or auctioneer before the auction begins. If you fail to register and you win a unit, the auctioneer or storage facility reserves the right to sell the unit to the next highest bidder. Your bidder number will usually be next to your name on the sign in sheet. If you buy a storage unit, you will need this number, so it is a good idea to remember it. Some storage facilities and auctioneers will have you sign an acknowledgment of the rules, while others will announce the rules verbally. The terms and conditions may vary from one auction location to the next. There is no fee to register for an auction. When you register, you will be asked to provide your name, address, phone number and your tax exempt status. At some auctions, you will be asked for valid identification, although this is rare. Rest assured, the storage facility is not allowed to give out your personal information, so you don't have to worry about the former owner contacting you to get their stuff back. Some auctioneers and storage facilities will have several auctions occurring on the same day. Some auctioneers and storage facilities will require you to sign in at every location, while others only require you to sign in once for the entire day. Please speak with your auctioneer or storage facility manager to confirm their policy. Storage facility owners, managers and employees are eligible to participate in the bidding process, although most do not, in fear of a conflict of interest. Payment. If you win a storage unit, you must report to the rental office at the conclusion of the sale. Full payment must be made before you can remove any merchandise from the storage unit. You will be required to pay the bid amount, sales tax (unless exempt) and the security deposit at that location before moving on to the next facility. Cash is the primary method of payment at storage auctions, although some storage facilities do accept debit and credit cards. Checks are almost never accepted. Please speak with the storage facility manager about the accepted methods of payment prior to placing a bid. Once you arrive in the rental office, the auctioneer or storage facility manager will be processing the payments of the winning bidders. Usually, only one transaction is processed at a time, so there may be a line. If you are tax exempt and the auctioneer or storage facility doesn't already have your resale tax number on file, please have your resale certificate ready for them so that they can make a copy. Once they accept your payment, you will be issued a receipt and a temporary access code to the storage facility. Please make sure you have enough cash on your person to cover your bid. The auctioneer doesn't have time to wait for you to go to the bank or ATM because they must move on to the next location. If you decide to go to an ATM after the auction, you do so at your own risk. If you you're not back before the auctioneer or storage facility manager has finished processing the other winning bidders, they reserve the right to terminate your bid and resell your unit to the next highest bidder. Sales tax. Sales tax must be paid unless no tax is due. If you have a lawful exemption, a valid resale tax number on file with the comptroller's office or if you are purchasing a vehicle, trailer, recreational vehicle or boat, sales tax will not be charged. If you are tax exempt, the auctioneer or storage facility will have you fill out a tax exempt form which is then kept on file. All other buyers must pay sales tax on the amount of each winning bid. Announcements. Any announcement made the day of the sale, prior to or during the auction, will supersede any other announcement or advertising. The auctioneer or storage facility manager reserves the right to reject any bid, place a minimum bid, revoke bidding privileges or cancel the sale completely. They may also sell the units in their entirety, in lots or item by item. Age minimum. Buyers must be over the age of 18 to bid. Some storage facilities do not allow children, so it is a good idea to call the storage facility in advance if you need to bring them with you. When children are permitted, they must be supervised at all times. Inspection. During inspection process, the auctioneer or storage facility manager will remove the lock and raise or open the door. Everyone will have an equal opportunity to inspect the contents of the unit from the doorway. Please do not go inside the unit or touch any items. If you are seen doing so, the auctioneer or storage facility manager reserves the right to refuse your bid and/or ask you to leave the auction. Once everyone has had a fair amount of time to inspect the unit, the auctioneer or storage facility manager will open up the bidding. All items are sold “as is.” Please examine the storage unit thoroughly before placing a bid, because once the auctioneer or storage facility manager says sold, you have bought the unit. All storage units are sold “as is” and without warranties, representations or guarantees. All sales are final. Securing the unit. If you win the unit, you must immediately place your own lock on it. If you do not have a lock, you can usually purchase one in the rental office. The storage facility is not responsible for the contents of the unit after it has been sold. Cleaning out the unit. Most storage facilities allow you 24-48 hours to remove all of the contents and sweep the unit clean. Every now and then, you will come across an auction that requires the winning bidder to remove the contents on the same day, although this is rare. The auctioneer or storage facility manager will announce how much time you have before the auction begins. If you need additional time, most storage facility managers are willing to work with you as long as you keep them informed. You also have the option of renting the unit, which allows you to take your time. If you fail to clean out a unit, it can have severe consequences like losing your security deposit or being banned from future auctions at that storage facility. If the auctioneer hears that you failed to clean out a unit, you could be banned from all of his or her future auctions. The storage facility's dumpster may not be used by buyers without the permission of the facility manager. Cleaning deposit. Most storage facilities require you to pay a cleaning deposit on every unit you purchase. These deposits usually range from $40-100 and are fully refundable if the unit is cleaned properly within the designated time. The purpose of the cleaning deposit is to prevent people from purchasing a unit, removing all of the valuables and leaving the unwanted items and trash behind. Once you are finished cleaning out the unit, please stop by the rental office and let the employee on duty know. The employee will inspect the unit to verify that all of the contents have been removed and that it has been swept out. If the unit has been cleaned out properly, the employee will return your security deposit. Personal items. If you find personal items inside of the unit, please leave them with the property manager so they can return them to the tenant. Personal items include photographs, identification, tax and legal documents, birth, death and marriage certificates, diplomas and items with sentimental value. Common courtesy. Please be civil toward the auctioneer, storage facility employees and other bidders. Anyone that is disruptive or causes an altercation will be asked to leave and could be barred from attending future auctions. What Should You Do If You Find A Gun In A Storage Unit? 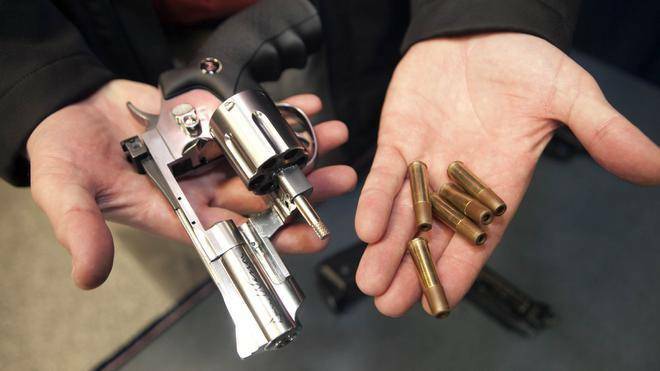 If you find a gun in a storage unit, there are certain procedures you must follow. First and foremost, clear it and make sure there are no unspent rounds in it. I would like reiterate that I'm not an attorney, nor do I have a FFL and that you should consult with a professional before making any decisions regarding firearms or antique weapons. It is my understanding that if you find a firearm in a storage unit, you must turn it in to the local authorities or a Federally licensed firearm dealer. I recommend the latter because you have a better chance of getting it back. When you turn it in, make sure you get a receipt for it because if you're a non-felon adult, they will let you have it, after a waiting period and if it has not been reported stolen or used in a crime. Although state and local laws may vary, any gun with a frame or receiver that was actually made before January 1st, 1899 is legally antique and not considered a firearm under Federal law. This refers to the actual date of manufacture of the receiver/frame, not just the model year or patent date marked. Any gun manufactured before January 1st, 1899, other than a machine gun or other NFA category, is not controlled in any way by Federal law. There is no Federal requirement for sales of these guns to be handled by Federally licensed dealers. Although State and local laws may vary, they may be bought and sold across state lines by private parties, regardless of what cartridge they are chambered in. Telephone the Federal Firearms Licensing Center of the Bureau of Alcohol, Tobacco & Firearms at 1-866-662-2750 for specific questions. The FFLC can help ensure your guns are properly registered. Allow me start out by saying that I’m not a CPA or an attorney and that you should consult with a tax professional before making any decisions. Do you know what the rules are for income tax for someone who makes all their money reselling the contents of storage lockers online? Earning money by selling items on the internet affects a growing number of individuals and businesses. Any time you earn income other than wages, you should evaluate whether the transaction is taxable. If you have an established business and you augment your sales with online auctions, remember to include the online auction sales in your business income. If your online transactions reach the level of a business activity, you should determine whether it is appropriate to deduct ordinary and necessary business expenses. An ordinary expense is an expense that is common and accepted in your trade or business. A necessary expense is one that is appropriate for your business. If you are in the business of selling items through auctions, you may also owe self-employment tax, employment tax, or excise tax. As a self-employed individual, generally you are required to file an annual return and pay estimated tax quarterly. Self-employed individuals generally must pay self-employment tax as well as income tax. Before you can determine if you are subject to self-employment tax and income tax, you must figure your net profit or net loss from your business. You have to file an income tax return if your net earnings from self-employment were $400 or more. Also, you can check out the Virtual Small Business Tax Workshop which is composed of nine interactive lessons designed to help new small business owners learn their tax rights and responsibilities. Income taxes and sales tax in niches like ours can sometimes be confusing. I'm interested in finding out how others handle their taxes. If anyone has any tips or advice which could help other storage auction buyers, please leave your interesting and creative responses in the comments section below. Also, if you have a specific question, feel free to ask. Some of our members are tax professionals and perhaps they will take some time to clue us all in.